The acquisition is all about teenagers, writes Cade Metz at Wired. Facebook recently admitted that teens are spending less time on its site, and if it wants to stay on top it has to "evolve with the ever-changing tastes of the teenage set," and right now, they're on WhatsApp. WhatsApp also has the almost unique power to "capture the attention of users no matter where they are or what else they're doing." Bloomberg points out that with that pricetag, Facebook is valuing WhatsApp at 19 times sales, "a multiple investors currently only bestow on companies developing life-saving drugs." And that's assuming WhatsApp does expand to a billion paying users. "It's ludicrous," one analyst says. "It reminds you of the dot-com bubble all over again. We're heading toward a bubble, if we're not already there." Yes, it's an "absurd amount of money to present to 55 people," and yes it reminds you of the AOL/Time Warner merger, the last deal this big, writes Chris Taylor at Mashable. But it's not crazy. 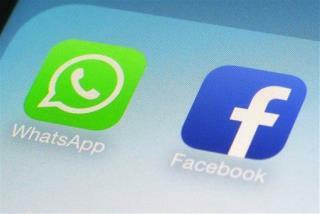 "You skate to where the puck is going to be, and WhatsApp is going to be at a billion users in a handful of years. From the perspective of Facebook, flush with cash, there is sound fiscal reasoning at work here, a legitimate bet." At the same time, Taylor adds, the rest of us have to adjust to a world in which one of the world's top companies just bought an app for more than the GDP of Iceland "and the future of innovation wasn't advanced one iota." Friendship may have played a big part in the deal, too. Mark Zuckerberg first invited WhatsApp's CEO out for coffee in early 2012, Bloomberg reports, and they've become fast friends since, "meeting frequently for dinners and hiking together." It has no purpose beyond texting someone outside of the country. Now someone will make a another app and the young people will migrate to avoid Whatsapp--the new Facebook they are trying to avoid. Unheralded service with 450 million users? And signing them up at 1 million a day? Mostly young and non-US users? What's not to like about that? It is all about the eye balls and thumbs and this is the path to new ones. Facebook would have spent a lot of money trying to re-invent and sue their way into that. Just do it and capture everyone, straight out of Bill Gate's playbook. Run like hell and clean up the mistakes as fast as you can. The same things being said negatively now were said about acquiring UTube.